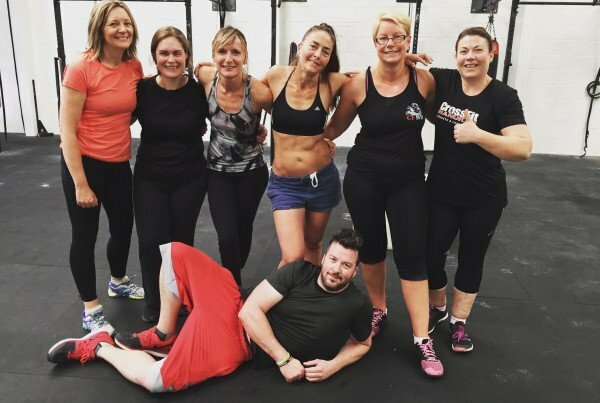 Can You Still be Fit At 40+ ? Here’s a question I get asked far too often. Actually i’ll backtrack here, this is more of a statement I hear than a question I get asked & as a 52 year old instructor I can quite sure you, you are Not too old. I’m going to start off by turning this question around on you by asking you the following: “Are you too old to go shopping? Are you too old to go to a restaurant for a meal? Are you too old to go on holiday and have a good time? The answer is a resounding NO right? So, let me put it too you… If you’re NOT to old to do all the things you’ve always done, then why would you be too old to take up fitness?. In fact isn’t now the perfect time to learn to become more mobile, to learn to move better, increase your muscle mass and improve your over fitness and health? If you’re reading this, the chances are that you haven’t quite got one foot in the grave as of yet, so why not spend the rest of your life trying to become a fitter, stronger and better you. Wouldn’t it be great if you could bend down & pick something off the floor without groaning, run around with the kids without having to hold onto the wall whilst you sucked in the old oxygen, or maybe took the family out for a bike ride on the brand new (only used once) mountain bike in the shed? Even if you used to play a sport or have just taken up a hobby that requires better strength, fitness & mobility. A well designed training program can provide you with all the building blocks you need to succeed. CrossFit can do this for you. Thousands of ordinary people around the world are taking up this training system every day, so It must we working, right? In fact I know it does, as I’m living and breathing proof. The functional nature of CrossFit has allowed me to stay strong & fit. I can walk on my hands, lift weights, complete multiple sets of burpees, surf in 3-4 foot waves and even do the occasional CrossFit competition. Book into one of our ‘Get Started’ packages TODAY. Yes we have a name with some dignity. 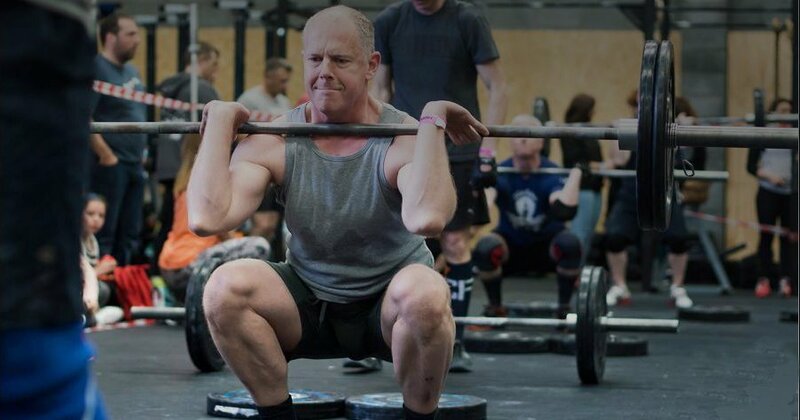 In the world of CrossFit (and beyond) those of us from 35-60+ years to our names, are one of the biggest rising populous taking up fitness at this moment in time. For years, it’s been the societal norm to become middle aged & let the younger generations have all the fun & look good. But things are not only starting to change but have started to fully establish themselves in modern day society. No more are we sitting by the wayside & waiting to get old, but we are starting to have a second coming, a ‘Masters Rebellion’ almost. Every year, more & more people are starting to find out they can change the shape of their bodies. They can learn new skills, they can get stronger, become fitter & still play the sports they love. Indeed you can still push yourself to your highest limits if that your wish. You see, It’s not that you can’t do the activities that the younger generation enjoy, it’s just you’ve let life take over. It’s not that your body no longer has the ability, it’s just you’ve become unconditioned. Its not that you have to play ‘keepy-uppy’ with the younger generation, you just have to take part to the best of your ability. I promise you, that over time and consistent effort, you’ll be more than surprised by what you can achieve, but you need to take that first step. You need to put one foot forward & let the inner child in you rebel. You need to repeat the mantra “I can, I will” & press forward on life’s journey with a stronger & fitter you. Remember, nothing in life worth doing is easy, so be inspired by others like you & don’t let unfounded excuses get it the way of you dreams. 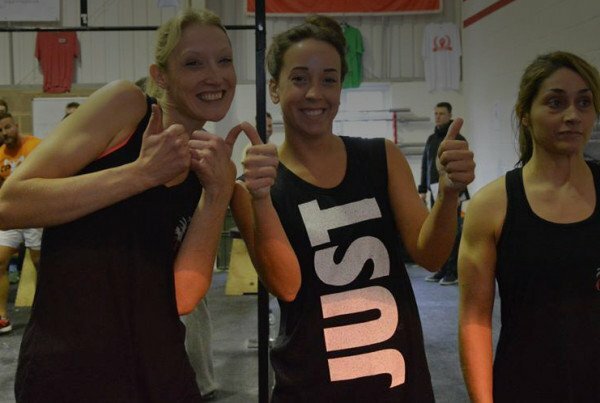 If your dreams include a fitter, stronger and better you, start something new today, the CrossFit way. 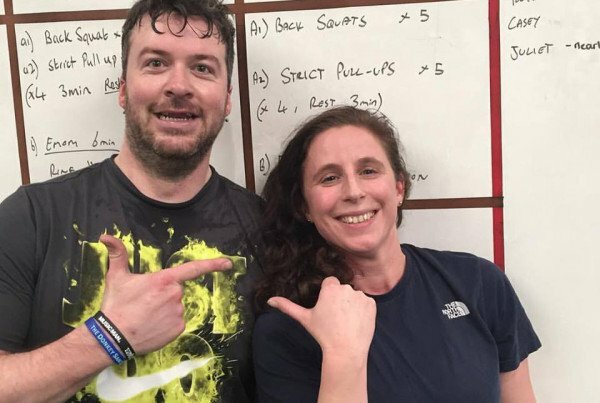 Entrepreneur, Traveller, Surfer, Strength and Conditioning Coach, Owner of CrossFit North Devon & Occasional Masters Athlete.